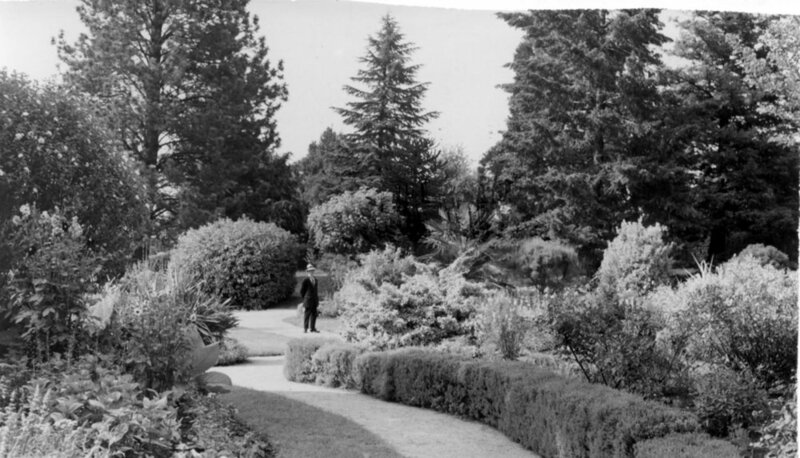 The Gardens’ current site bounded by Clowes, Mollison and Powlett Streets became permanently reserved as Public Gardens in 1867. Various grants were secured to obtain and plant trees and shrubs. Some plants were sourced from Ferdinand von Mueller, Director of the Royal Botanic Gardens Melbourne (1857-1873), who aided many of the developing regional gardens, but it is unclear if any of those plants survive today. The Gardens became a place to be. 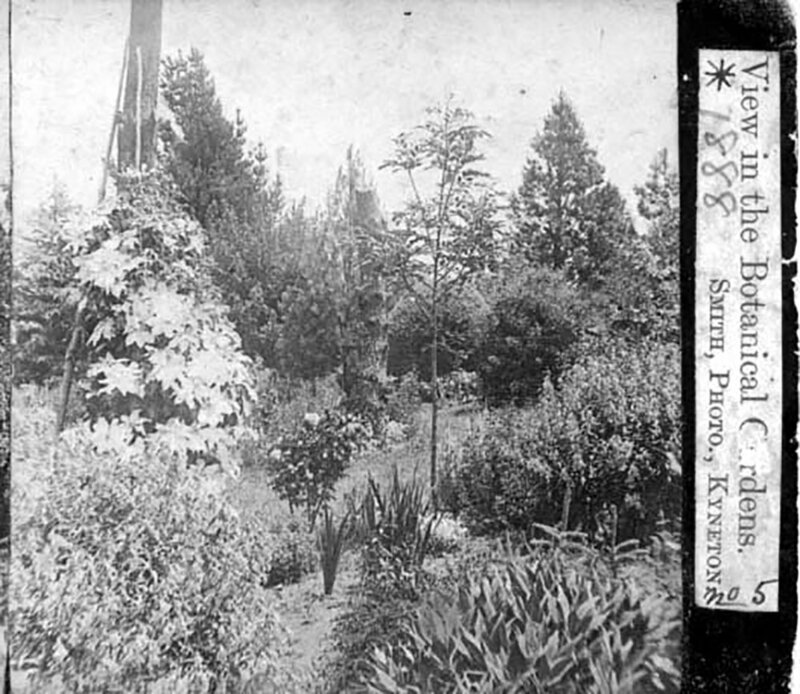 From about 1868 a Curator, Mr Hubber, was appointed and interest in the young gardens grew. 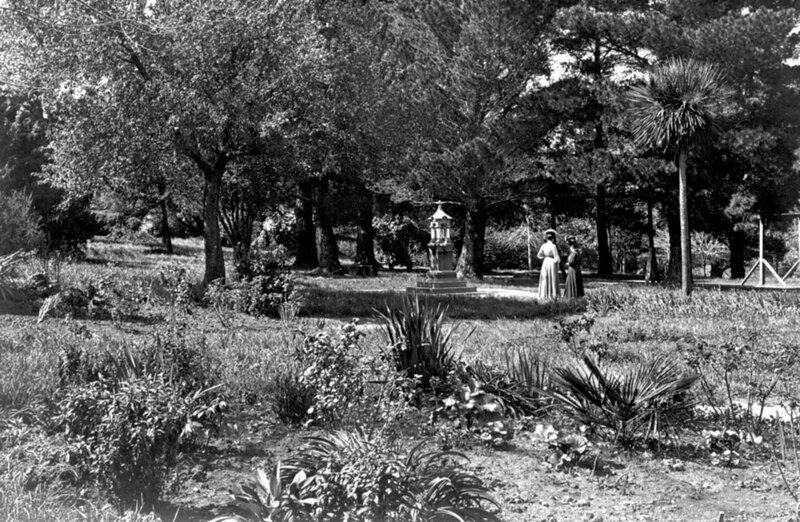 The gardens were used for outings, gatherings and formal functions reflecting the community’s pride in its fine gardens. With planting and basic paths constructed attention was turned to making the surroundings more attractive. Vestiges of some of the early features are still in evidence, such as the drinking fountain (1903) and rotunda. 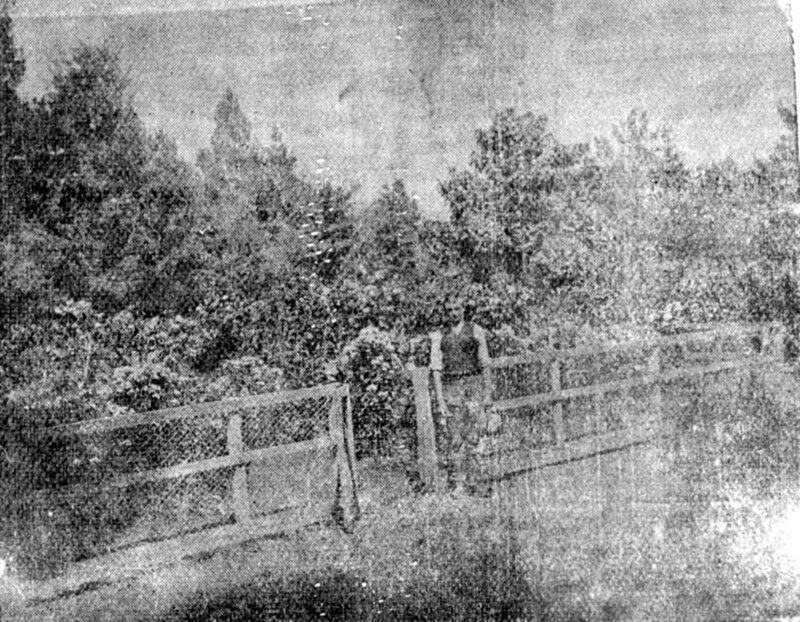 The bluestone wall along the Mollison Street boundary was built (1884) and substantial pickets fenced the other boundaries. The memorial gates at the front entrance were built in 1936. 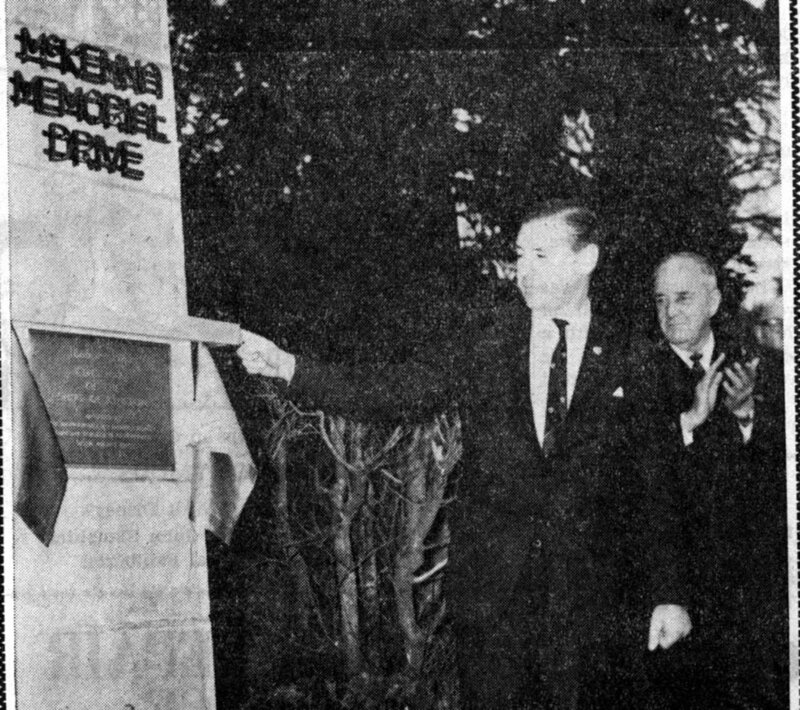 To celebrate the centenary of the Shire of Kyneton in 1965 a new bluestone gateway and memorial drive commemorating the civic service of the McKenna family were constructed off Mollison Street. A fish hatchery operated in the gardens until 1968 and in 1972 an old pig shed from the Kyneton Saleyards was moved to the gardens to act as a shelter shed. During the Millennium Drought (1997-2009) many trees in the gardens suffered badly and a major council investment saw the provision of a recycled water supply to the gardens that would help improve the condition of the gardens’ many important trees. A successful grant application by The Friends to Heritage Victoria facilitated the restoration of the gardeners’ cottage in 2006. In 2017, after several years of community activity, a major project developed a contemporary community park and playground at the western end of the gardens.